Selling a home infested with mice is not a pleasant experience for anyone, well besides the mice. Imagine the perfect, approved Buyer comes in and a couple of mice scurry past, deal off! Also, if found during an inspection a costly remedy will be required, and a financial burden on the seller. 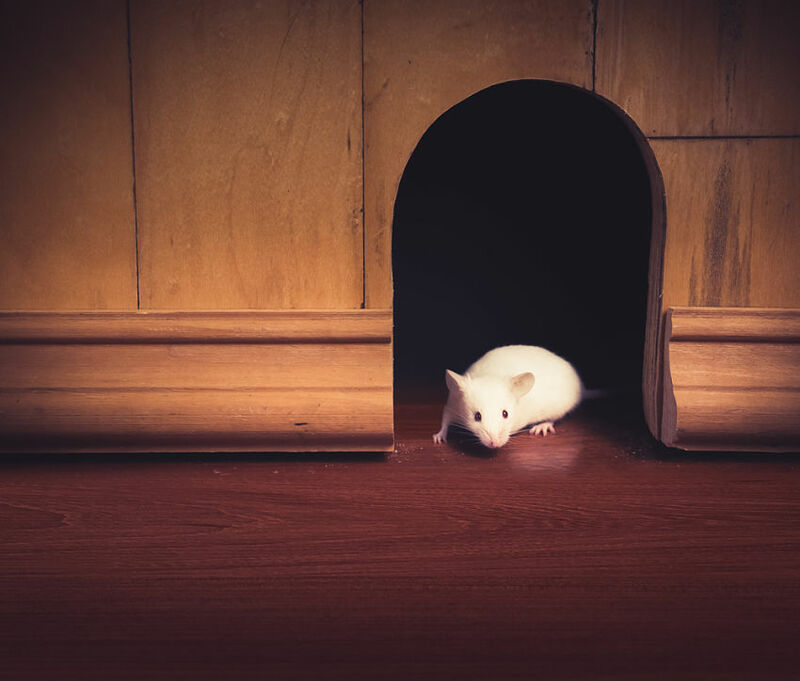 Homeowners experience an increase in mice as unwelcome house guests during the Fall and Winter, but here in Granbury it can be a year-round occurrence. Homes in Granbury have a much higher chance of infestation than homes in other parts of the country. In fact many homeowners do not even know the little critters have set up house until it is too late for a simple mouse trap to do the trick. Just during the winter months alone, mice and their other rodent counter-parts will share a home with an estimated 21 million homeowners in the United States. Typically, mice are looking for food, shelter from the elements (hot & cold), and water. The extreme summer heat in Texas will send the mice into homes thirsty, hungry and looking for a cool place to nest. Mice populations increase at an alarming rate, especially when they are nice and cozy inside a homes walls and/or attic space. If you have ever noticed mice droppings on top of things, and thought to yourself “how in the world did they get up there?” well, you would be surprised. They are able to crawl up brick walls, into openings smaller that 1/4 inch and can jump a foot or so in the air! They can even swim. This means any small crack, weep hole, or doorway without tight weather stripping is an open door for these little pests. They climb pipes, utility poles, trees, anything they can get their tiny rodent feet around. Mice are tiny little rodents with very large appetites. They eat up to 20 times a day. Since they eat so often, they love to find a home with food sources readily available. Once they realize the menu is better inside than out, they will make permanent reservations at your house. Pantry’s are often the first clue to the problem. The house mouse loves cereals, grains, meats & seeds. Exposed bread and sweet treats are exceptionally vulnerable to the nocturnal nibller. You may begin to notice tiny droppings in storage rooms, and the number of droppings will increase rapidly. One house mouse can leave up to 100 droppings a day. Now, take that number times a small mouse family of 4, or 6, or 8. They also leave little, tiny drops of urine as they move around your home. This can kill selling your Granbuy home. Being nocturnal, you will not even be aware of which surfaces they have “left their mark” on, counter tops, floors, tubs, any place they travel in your home. Mice that are living outside in the wild will typically survive about 6 months, eventually they will succumb to predators such as cats, bats, hawks, snakes and foxes. Mice have shown that when in a lab setting they can live up to two years or longer. Keep that in mind, if they are inside, away from predators & harsh elements, they can be result in permanent house guests, unwanted house guests indeed. The short life span for the outdoorsy type of mouse, does not keep them from making hay while the sun is shining! These pesky little rodents love to breed. One female mouse can start popping out mice babies as early as 2 months into her life. She can have offspring of up to 150 babies in a single year, possibly a dozen babies every month. If you see just one mouse in your home, you can safely assume if there are not lots more already, there soon will be. That coupled with the droppings and urine from just one mouse, can cause any potential Home Buyer to run! The destruction they cause from chewing through wires, walls, fabric & boxes, coupled with the diseases and germs they carry warrant acting swift and harsh if you notice any sign of a mouse inside your home. Keeping mice from entering a home is always the best solution to a mice infestation. Use silicone caulk to seal any openings on the exterior, be sure to check from top to bottom. Keep in mind, mice can climb & jump. Homes with brick exteriors that contain weep holes will need to have a wire mesh or metal grate to keep the mice from entering through these abundant, mice height entry ways. If you do find yourself with evidence of a house mouse, contact a licensed pest control professional before it gets out of control. If you don't know one, as your REALTOR for recomendations. Many people are not comfortable with certain inhumane methods of eradication, no worries, there are quite a few no kill options available. Looking For Granbury Homes For Sale? Looking to Sell Your Home In Granbury? Just fill out the form below and one of our top agents will get back to you immediatly!